On the weekend, The Scots College achieved a particularly momentous milestone in our 125th anniversary year. 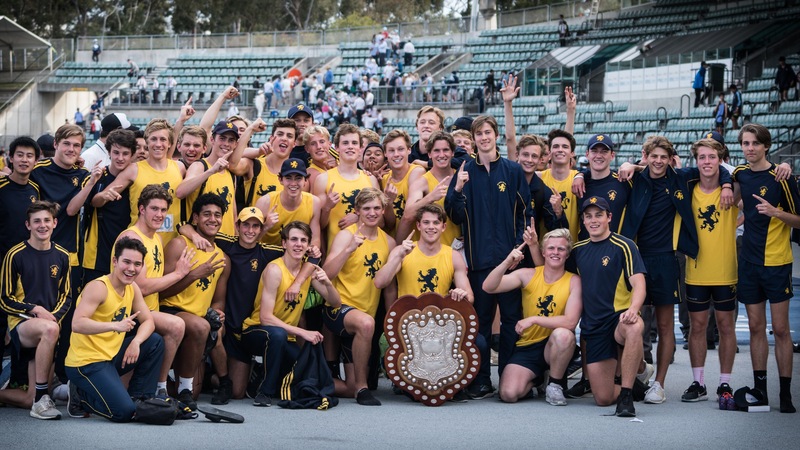 After a 43-year drought, our Athletics team won the AAGPS Athletics competition by 13 points. This result has been a long time coming. Over the past decade, we have improved our sports development program exponentially. Through a deep investment in both software and hardware, we have achieved outstanding results. By partnering with communities of knowledge and drawing on expert coaches, specialist clinics and research based tracking — we have built the depth of achievement conducive to last week’s outstanding results. After a 43-year drought, our Athletics team won the AAGPS Athletics competition by 13 points. As we look toward our future vision for our educational model, this model of research-based program development will inform our continued efforts to reinvent education. I extend my warm congratulations to all the boys involved, their families and their coaches. This is an outstanding result, especially for the Class of 2018, and I look forward to celebrating it with you all. Many in our community have asked if they can send a warm wish to our Athletics team to congratulate them on their achievement — you can do so below. Hamish Dunstan, Jack Mossman, Will Scribner and Luke Stammer were the 4x400 Opens Champions.